Yhe Humantay lake is located in the Vilcambamba mountain range, at the foot of the Humantay mountain. It is a fascinating lake located at 4200 meters above sea level and is the second highest lagoon in Cusco. Its origin is glacier and has a beautiful emerald color. To get to the lagoon you can hire the Humantay Trek Full Day, or if you are on your own, you must travel from Cusco to the town of Soaraypampa. 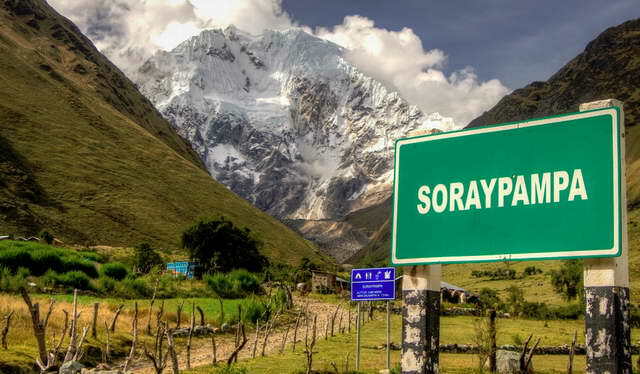 Soraypampa is located at 3900 masl and is also the starting point for the Salkantay Trek to Machu Picchu. From here you can see the snowy peaks of Salkantay and Humantay. 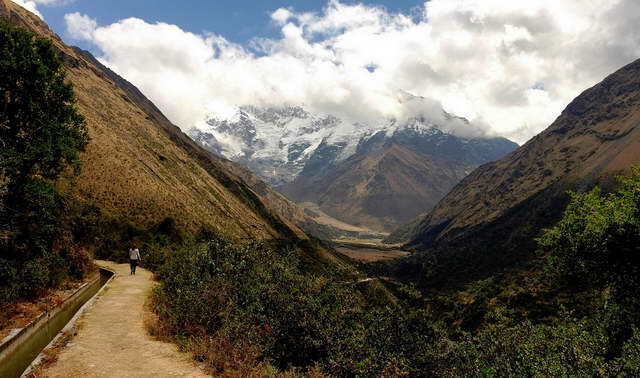 You can also make the route from Challacancha, about 3 hours before Soraypampa by the Inca Canal that still exists, on the way you can see multicolored landscapes, and cultivation areas of local people. There is no shortage of llamas, alpacas, vicuñas, sheep, and a variety of plants such as ichu and native trees. Arriving in Soraypampa, you can spend the night in a variety of specially built bungalows. At night you can see the sky full of stars. Otherwise you can continue with the walk towards the Humantay lagoon.